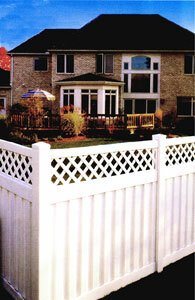 Privacy fences allow you to enjoy the benefits of a good neighbor fence; both sides look the same. Forget painting or staining. You'll enjoy this investment for years to come. 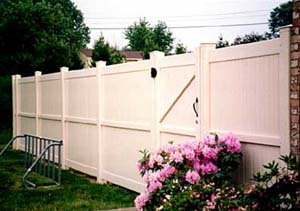 Semi-private fences meet most local pool codes. These unique designs provide a visual screen while permitting air flow. 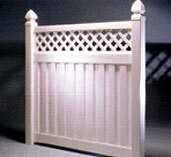 The fences combine an attractive appearance with the functional safety benefit of no splinters, nails or sharp edges.